First let me warn you, I am neither talking about some weird phone accessory nor using your phone to sweep the floors. What I am talking about is this. 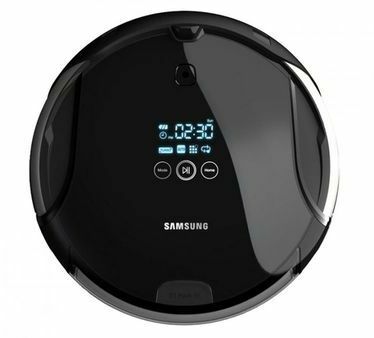 Samsung has just released a Navibot S vacuum cleaner, which can be controlled via an Android app! Seems straight out of the Jetsons, doesn’t it? But its true. Interested? Read on. The Navibot S is a robotic vacuum cleaner, which functions quite like the normal thing albeit you needn’t hold it. It first maps out your room. Puts all stuff in a bag, lowers itself for furniture, while you will just need to control it using your Android phone. Samsung has developed a Navibot Android app that lets you not only switch on and switch off the Navibot S, but even control various functions. The app will also tell you the location of your Navibot. And it will also provide you a view of the Navibot using the webcam mounted atop it, in case you think its slacking off work. With a $674 (Rs. 33,700) price tag, it doesn’t even seem expensive. So, what do you think? Enough to fire your maid?